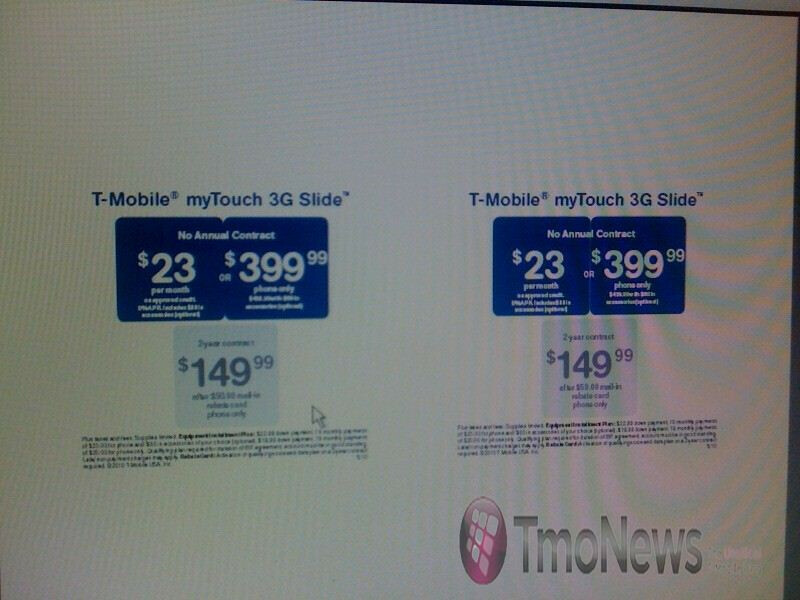 T-Mobile myTouch 3G Slide coming out on June 16 for $149.99? Although it's now known that Sprint is expected to launch the HTC EVO 4G on June 4th, there were reports that T-Mobile was going to release the myTouch 3G Slide a bit earlier on June 2nd. However there are plenty of differences that separate the two, but with the high anticipation riding with the EVO 4G's arrival, T-Mobile has apparently pushed back their release of the myTouch 3G Slide to June 16th. There was a leaked document that also pinpoints its $149.99 on-contract price tag it'll be sporting when released. Furthermore, it's also speculated that the regular T-Mobile myTouch 3G should see its price fall once this one is finally available. One of the other possible reasons for the slight delay, aside from the notion it would compete straight on with the EVO 4G, is that T-Mobile has given out units to their employees for strict testing on their network and to fine tune things out. hmmmmm a mytouch slide.....isnt that just a different looking g1????? My coworker just got hers. Very very quick on the UI. I'm very surprised at how smooth the phone runs stock so I can't wait to see how it will be when it is rooted.